A specialist driving instructor is more likely to be aware of your needs and requirements and is more likely to have access to cars with the controls you need. Although any good driving instructor is perfectly capable of teaching most people to drive, the average instructor may not understand the special needs of people with some medical conditions, they may not be able to communicate effectively with people with hearing difficulties, may not have access to different types of vehicle – with automatic transmission for example; they also may not have access to or experience of the different adapted controls that could help people with physical disabilities. A specialist driving instructor will be more aware of the needs of disabled people, people with special educational needs and those with hearing difficulties. If your needs are fairly straightforward these specialist instructors should also be perfectly capable of assessing your potential and giving you advice. 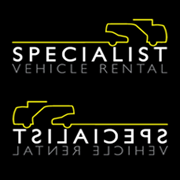 There are specially trained and experienced driving instructors throughout the country many of whom have access to adapted automatic tuition vehicles. Although the use of adaptations or an automatic car may not be necessary, for those with hearing difficulties or those with special educational needs for example, learning to drive in an automatic would undoubtedly make the process easier. Taking driving lessons with experienced instructor who has access to an automatic car as well as a manual would allow you to drive both and then make a more informed choice about which to choose, if the instructor has access to a car with different adapted controls you may be able to try alternatives to find the most suitable. A “Driving Mobility” assessment would be advised if there is any doubt as to which control would be best.